Exploring the ways in which civil society organizations use new media to engage in campaigns of political action. Across a range of high profile and widely reported international contexts, — umbrella waving pro-democracy rallies in Hong Kong (https://www.flickr.com/photos/cyalex/16213268125/), marches on the streets of Mexico City (https://www.flickr.com/photos/jpazkual/7363953310/), pot-banging demonstrations in Quebec (https://www.flickr.com/photos/blumsy/14538075042/), mass public congregation in the city squares of Cairo (https://www.flickr.com/photos/mosaaberising/6387458237/) and Madrid (https://www.flickr.com/photos/esewallace/5969966900/) — traditional forms of democratic protest have been underpinned by, and intertwined with, the structures of communications networks and the affordances of new media (see Figure 1). Edwards, et al. describe this emerging form of protest as digital activism; “an organized public effort, making collective claim(s) on a target authority(s), in which civic initiators or supporters use digital media”. 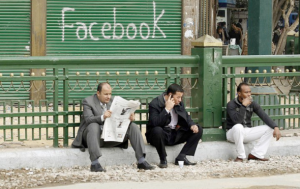 Massive audiences are available for flows of political content across social networking environments. Facebook alone had 1.39 billion monthly active users at 31 December 2014 (Facebook, 2015). 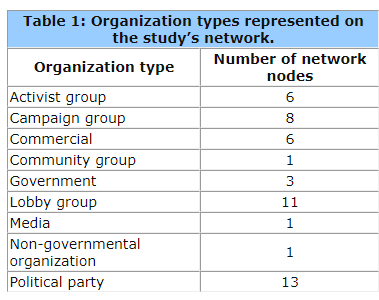 In their study of political activist networks across the U.S., Colombia and Guatemala, Harlow and Harp found social media environments to be “important for organizing, mobilizing, informing, and promoting debate, in other words, serving as a mode of alternative media and a counter public sphere where collective identities can form”. Social media can be used to organize and highlight campaigning around social issues, but can they help affect real political change? Is there a middle ground to be found between Shirky’s (2011) strengthened public sphere and Morozov’s (2009) low engagement political slactivism arguments? 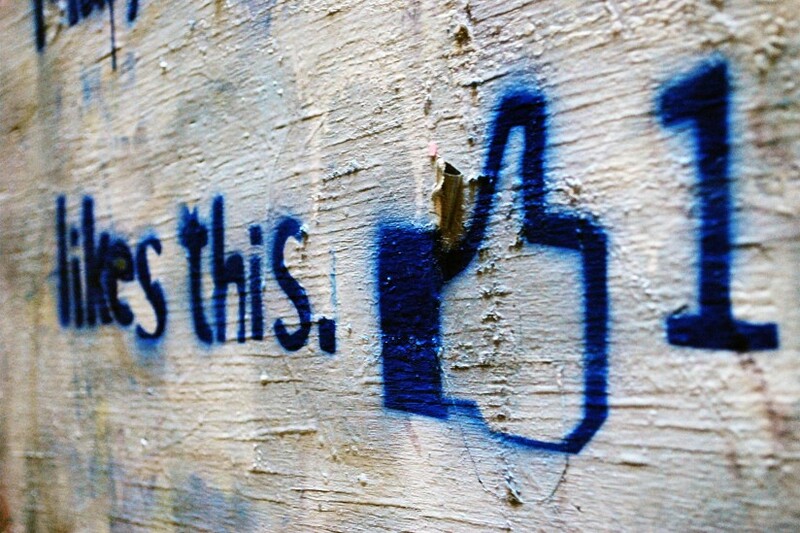 How can we explore the dynamic impact of new media on social movement action? 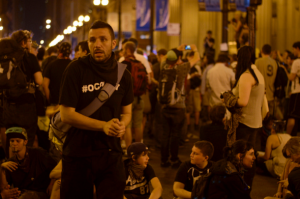 How does the appropriation of new media by social movements actually influence political change? 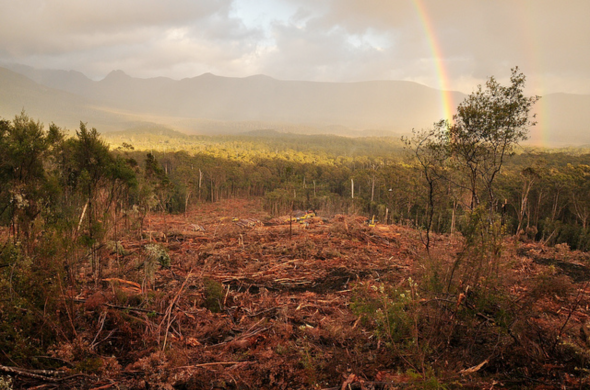 In this paper we report on an approach that we have used to explore these “How …?” questions, in a study that focuses on a specific environmental conflict around the protection of native forest in Tasmania, Australia. For example, a long running protest has focused around the plan to build a pulp mill in Tasmania’s Tamar Valley. The Australian Government’s planning approval for the pulp mill (Australia. Department of the Environment, 2011) has a lengthy history of political opposition from a range of political, environmental and community groups (https://www.flickr.com/photos/jen_forward/4123593035). The project was originally planned by the Tasmanian forestry company Gunns Limited and has, on a number of occasions, been refused approval by the government as a result of environmental concerns. Gunns Limited has now gone into receivership, but the pulp mill proposal still has political capital, given Tasmania’s limited economic growth. 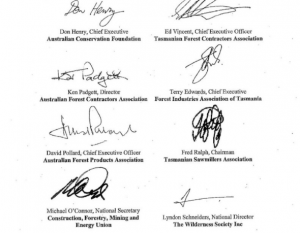 The creation of a pulp mill operation has been projected as having the potential to bring more than AUS$6.7 billion into the Tasmanian economy; yet significant concerns relating to the impact of the mill on the natural environment in the region have been loudly voiced by range of stakeholders such as the Australian Greens (political party) and the Wilderness Society (a prominent environmental lobby group). For boyd and Crawford (2012) however, data lose their meaning without context. They note; “Data are not generic. 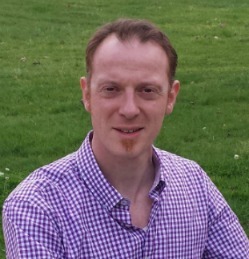 There is value to analyzing data abstractions, yet retaining context remains critical”. In relation to research around social media data, Highfield and Leaver (2015) advocate a mix of quantitative and qualitative approaches as a way of generating interpretive contextual depth. Others (Caiani and Wagemann, 2009; Park and Thelwall, 2003) agree that mixed methods approaches to Internet research are essential for making meaningful interpretation of how we engage in social interactions online. In this study we employ a mix of research methods and incorporate digital data into our analysis. Drawing on the specificity of the local environmental conflict described above, we acknowledge the significance of context in shaping our interpretation of data. 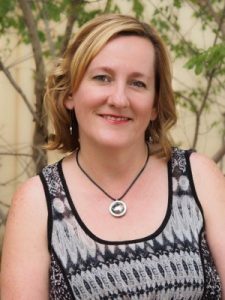 To provide an overarching interpretive framework for the study we have drawn on the contructivist grounded theory research of Kathy Charmaz (2010, 2008). Charmaz advocates an attitude of “creativity” around research design, as a way of providing scope for methods to emerge during the study as researchers become familiar with the data. Essential elements of grounded theory methodology are: the minimizing of preconceived ideas around both research problem and data; a simultaneous process of data collection and analysis, with each informing the other; the importance of openness to different understandings of the data; and, a focus in data analysis on the construction of theory. An iterative process of data collection and analysis enables the researchers to develop conceptual categories and analytic themes. The hyperlink in this relational sense can convey symbolic meaning; affiliation, deference, even hostility. 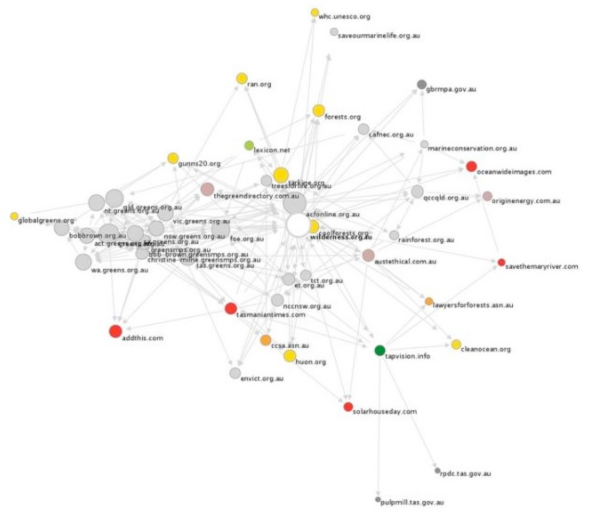 In their exploration of climate change debate online, Rogers and Marres note the significance of meaningful reciprocation: “Greenpeace does not link to Shell but Shell links to Greenpeace”. 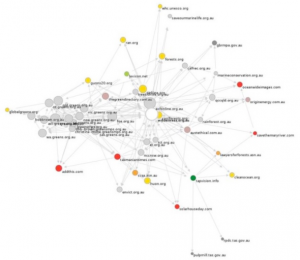 In political communication, hyperlinks may signify a poor view or negative relationship. 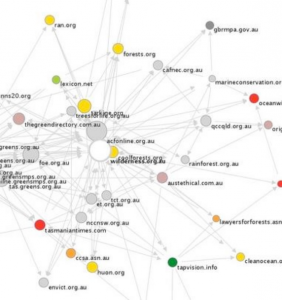 Ackland and Gibson note that whilst the environmental movement uses hyperlinked interconnection to collectively reinforce identity, for political parties hyperlinks can act as “rejection devices” representative of a negative symbolic relationship. Context, as we have already acknowledged, is everything. 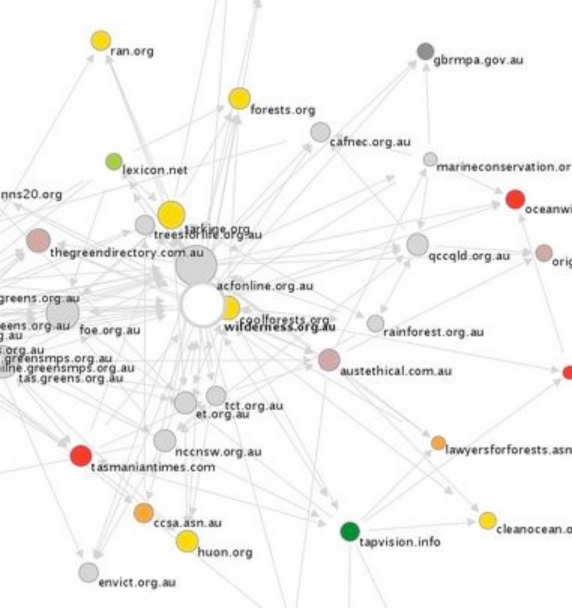 Figure 4: Network of forest protection stakeholder Web sites. Note: Larger version of figure available here. 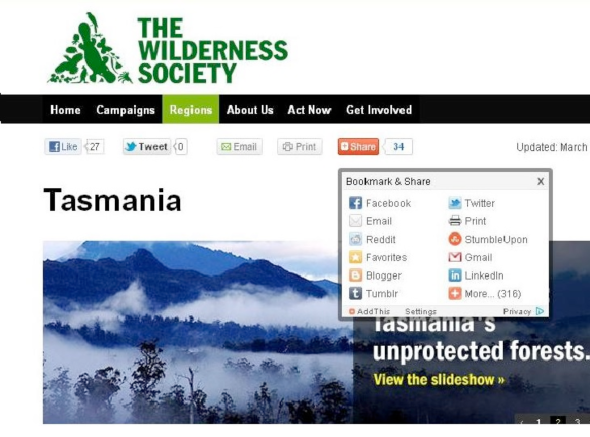 Figure 5: Social media channels incorporated into the design of the Wilderness Society Web site. Note: Screen capture image used with permission of the Wilderness Society. Figure 6: CAFNEC’s use of new media to encourage transfer of online engagement into off-line participation. Note: Screen capture image used with permission of Cairns and Far North Environment Centre. Pilny and Shumate suggest that for online social movement actors the hyperlink is “a public acknowledgement of another and symbol of representational communication”. By assigning hyperlinks the network, as a collective, takes shape. These patterns position particular organizations within the network, enabling their identification with (and within) the broader network. Hyperlinking to symbolize alignment is a practice in self-identification with, and the formation of, collectivity. Ackland and O’Neil (2011) go beyond this to suggest that the giving and receiving of hyperlinks are resources in a hyperlink economy, an organizing system within self-identifying networks. As sites with more in-links are generally higher ranked in the indexing processes of search engines, Ackland and O’Neil describe as “index authority” the status that is created through the in-links that a site receives. Pilny and Shumate discuss the same concept as “hyperlink capital”. 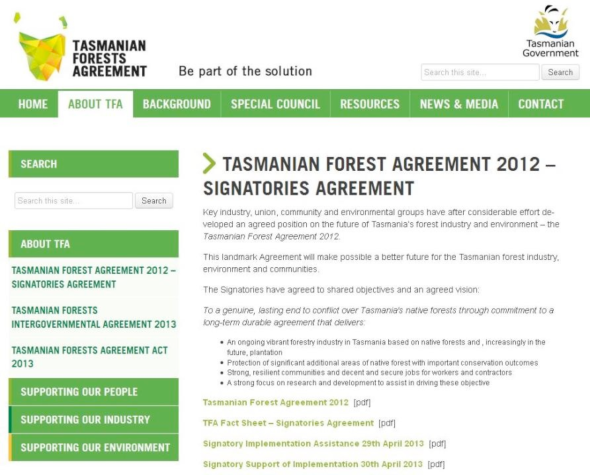 Figure 8: The Tasmanian Forests Agreement. Note: Screen capture image used with permission of the Tasmanian Government. 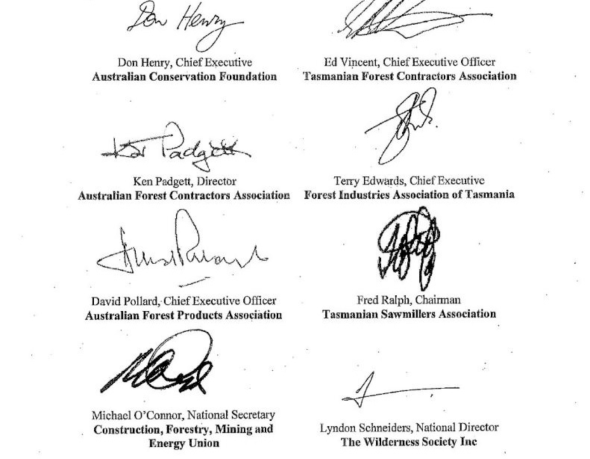 Figure 9: Australian Conservation Foundation and the Wilderness Society as signatories to the Tasmanian Forests Agreement. 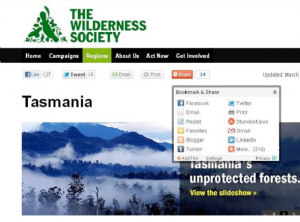 Note: Image used with permission of the Tasmanian Government. Edwards, et al., 2013, p. 4. Harlow and Harp, 2011, p. 208. Allen Consulting Group, 2006, p. 2. Boyd and Crawford, 2012, p. 671. Shumate and Dewitt, 2008, p. 407. Rogers and Marres, 2000, pp. 156–157. Ackland and Gibson, 2013, p. 233. Pilny and Shumate, 2011, p. 263. Ackland and O’Neil, 2011, p. 178. Pilny and Shumate, 2011, p. 264. Originally published by First Monday 21:2 (02.01.2016) under the terms of a Creative Commons Attribution-NonCommercial 4.0 International license.